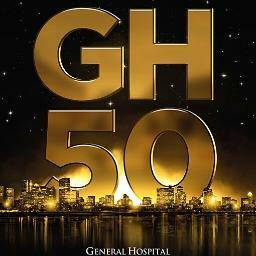 Yesterday, Today and Tomorrow….Happy 50th Anniversary, General Hospital! As General Hospital reaches 50 years on Monday, April 1st, I’d like to wish the show and its huge extended family, past, present and future, the happiest of birthdays. GH is a momentous achievement, not just in the history of soaps or daytime, but in all of television history. Everyone who has had a part in putting this show on the air these five decades deserves the greatest credit for making this show a true icon. So, producers, directors, actors, writers, crew, daytime executives, ABC … a big thank you for so many years of wondrous entertainment. Let’s start off with the positive here: The Nurse’s Ball is coming closer and closer (to be aired the week of April 1) and both current and we longtime General Hospital fans sure have a lot to look forward to. After a few mediocre weeks (starting with the end of the vampire story), GH delivered an episode this Friday that was quite good and full of the surprises Mr. Calivati had promised us on Twitter the day before. I literally screamed when it was revealed that Britt and the shockingly returned Dr. Lisa Obrecht (Kathleen Gati) were mother and daughter. The beloved Bobbie (Jackie Zeman) finally reappeared, too. Then Nicholas (Tyler Christopher) came home at the end of the episode, and I surprised myself by bursting into sentimental tears when he and his mother Laura embraced.